Enjoy a choice of square legs or half round in contemporary or traditional style. Leg posts can be positioned at the outermost corners or can be indented, set-inward, and this is yet another choice in tailoring your veranda or glass room to your personal preference and to suit your terrace. 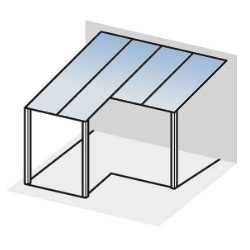 With our modular verandas you can add to your installation over time, as you please, later installing shade awnings, lighting, glass sides or slide-away glass doors. This ability means that you needn’t do it all at once, and it allows you to develop your outdoor space however required or desired in future. Add a touch of individuality with our veranda and glass room frame colours. 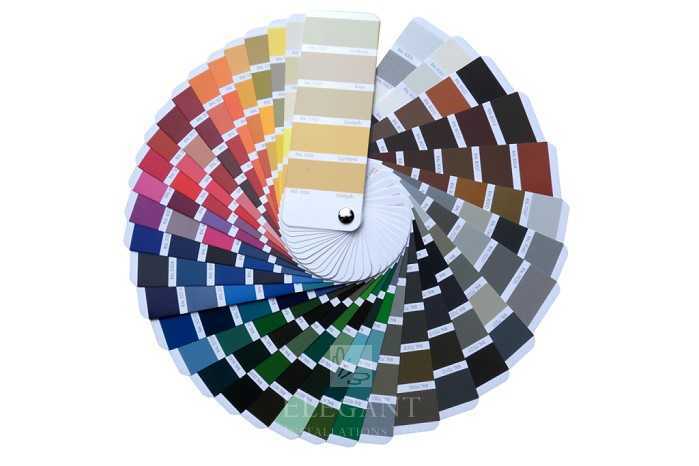 We offer a choice of standard paint colours plus an extensive array of further colour choices where design requires. 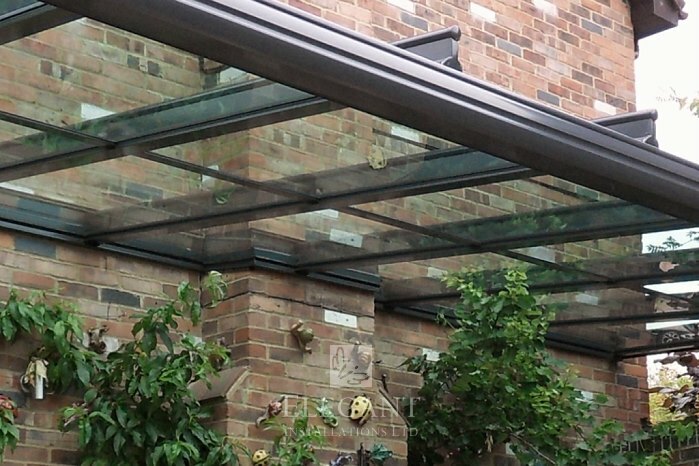 Elegant Glass Verandas and Glass Rooms undergo a complex powder coating process which guarantees a hard wearing paint finish – highly resistant to fading, scratching or chipping, keeping its good looks over a long life. Combining beauty and functionality, our verandas with tinted glass can soften bright light, increase UV protection and cool the summer sun. Stylish statements can be achieved matching grey-black glazing with gunmetal grey frames. 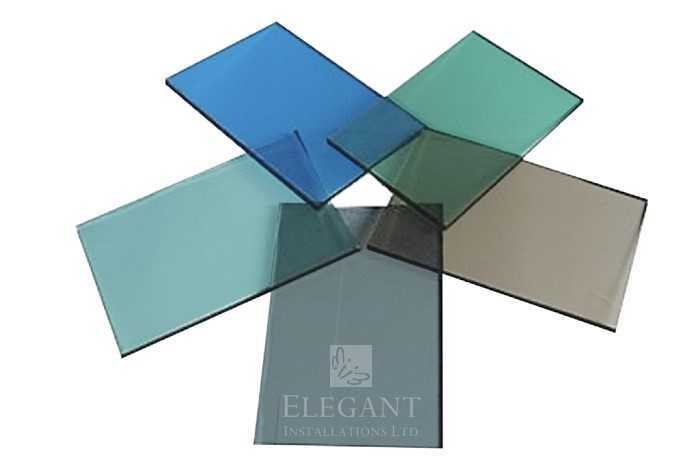 Whether your personal preference is for a natural clean light from our clear glass, or for a colour washed light from our tinted glazing, Elegant Glass Verandas have you covered. Ensuring the perfect design, many of our Glass Verandas and Glass Rooms can be tailored to a variety of shapes including trapezoid forms, for tapering walls, and even free-standing verandas for installation away from the house. 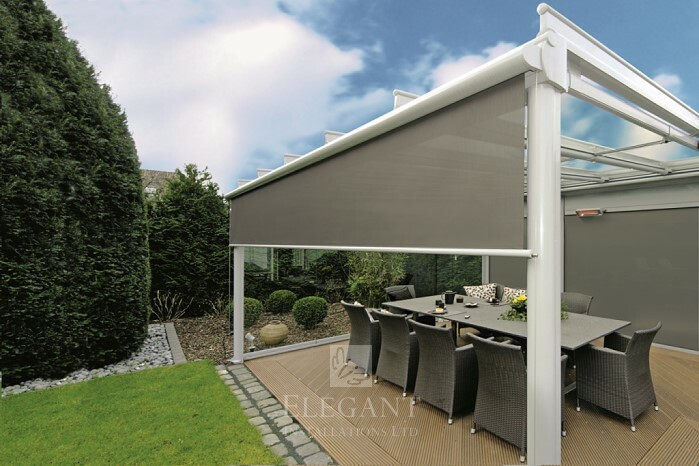 With Elegant you can relax and watch your outdoor room take shape! Styled to look good on modern and traditional architecture, our popular Glasdach model of glass veranda features slimline components yet achieves maximum wind loading and snow loading strength. Aesthetically simple yet elegant – something not always easy to accomplish. 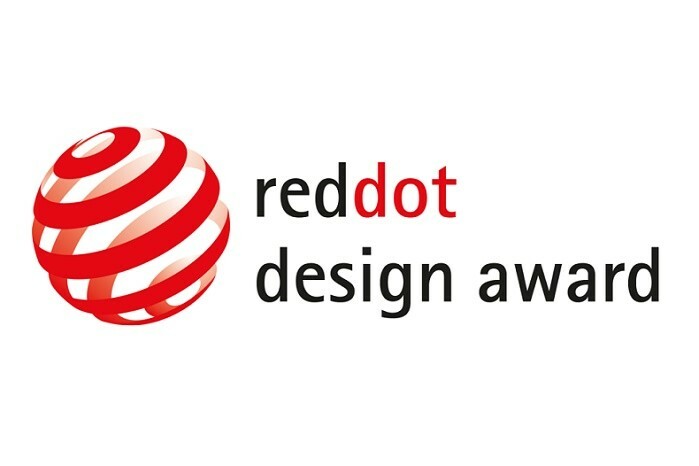 The Red Dot Award is a product design and innovation prize bestowed by the Design Zentrum Nordrhein Westfalen in Germany. We are proud to offer RedDot awarded products including some of our glass rooms, under glass awning blinds and vertical screens. 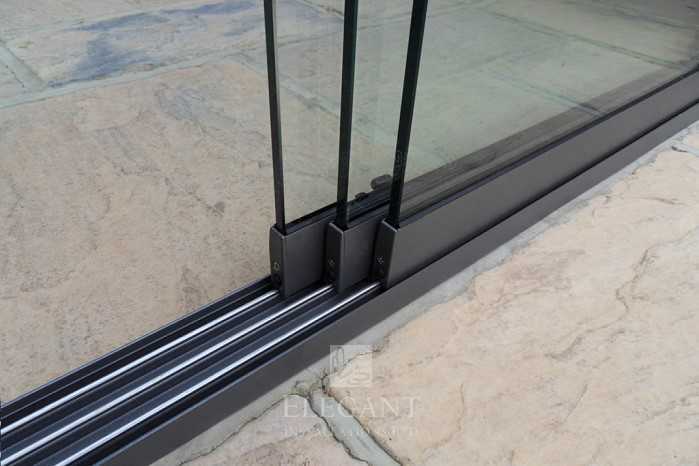 All Elegant verandas and glass rooms include integrated rain drainage hidden inside the framework. 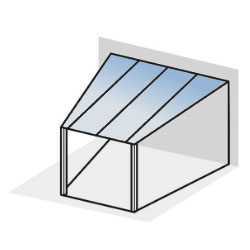 The front support is designed to deal with the weight of the glass roof while leaving space for a secret rain collection trough. Pipes concealed inside the legs take rainwater down to ground. 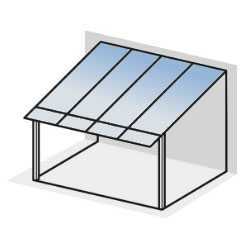 Choose from fully open ends (open verandas) or to include: A fixed glass triangulation. 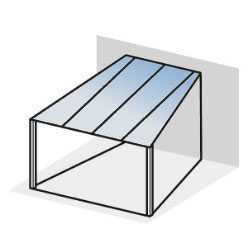 A frameless fixed-glass wall. 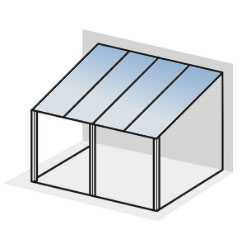 Or a frameless triangulation with glass doors below. 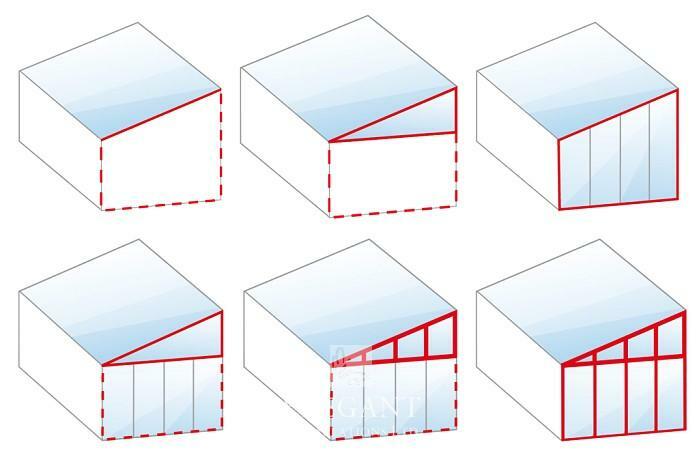 Or fully framed side glazing including vertical mullions (vertical transoms within the triangle) and mullions within a fixed glass wall below. Frameless fixed glass walls are an option for our glass rooms. 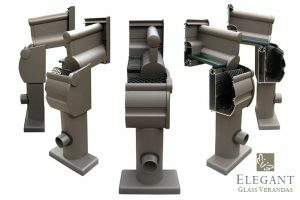 They can also be included within our glass verandas to block a breeze from the side. 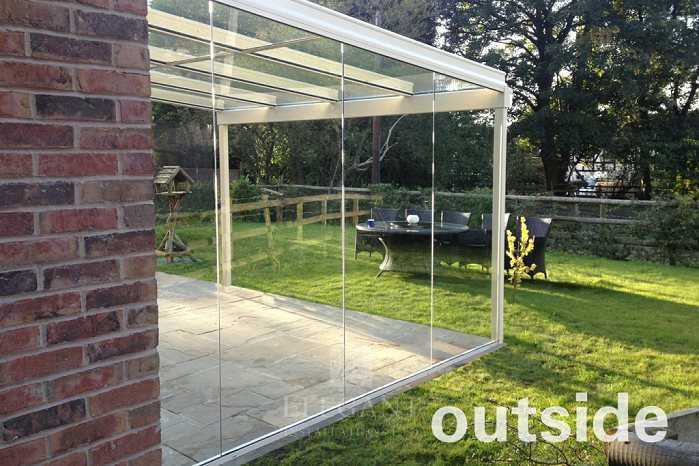 Elegant frameless glass curtain walls offer protection from rain and wind while maintaining a completely clear view of your garden. 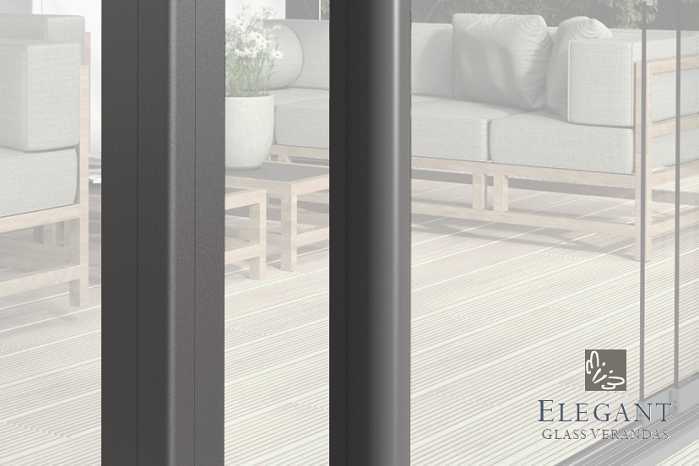 Enjoy all of the advantages of our clear-view frameless glass sides, but on premium engineered roller-tracks – allowing them to slide wide open. These doors effortlessly glide away to transform your Elegant Glass Room into an open glass veranda – leaving you free to wander. Side Screens can block the breeze, add privacy from neighbours and increase microclimate inside your glass veranda during the evenings. When added to our glass rooms, these vertical screens can block heat from summer sun and offer welcome shade from nuisance bright light. 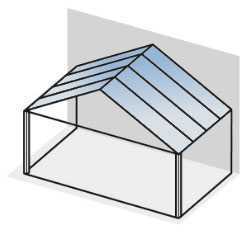 Housed under your glass verandas roof, the built in sun shade can remain clean and pristine, protected from weathering, debris, bird droppings or pooling rainwater. Choose from 150 advanced-technology fabrics, in collections of subtle plain-shades or vibrant colour patterns. 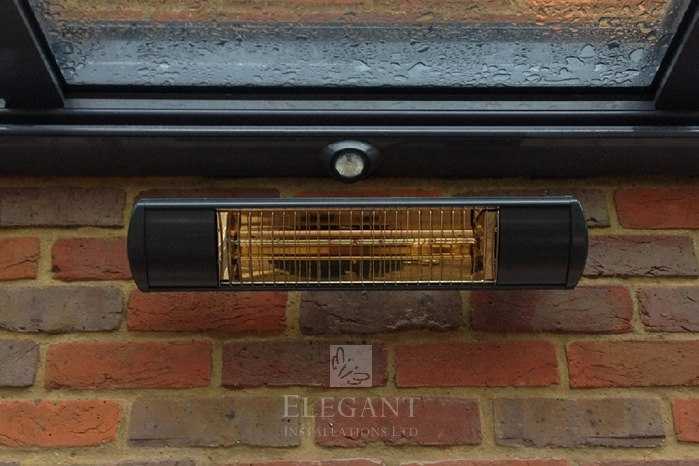 Taking the chill from cooler times, Elegant Glass Verandas and Glass Rooms can be equipped with our environmentally friendly quartz heaters. Conveniently operated by remote control, sit in comfort after the sun goes down enjoying your veranda late into the evenings or out of season. 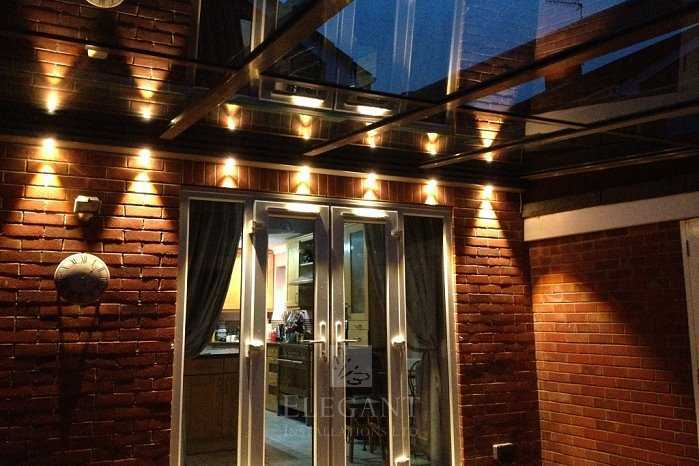 Our integrated LED spotlights span the full width of the glass roof to illuminate your entire glass veranda or glass room with an ambient glowing light. Creating an inviting space after dark, our verandas with spotlights extend pleasure making those outdoor evenings feel even more special. 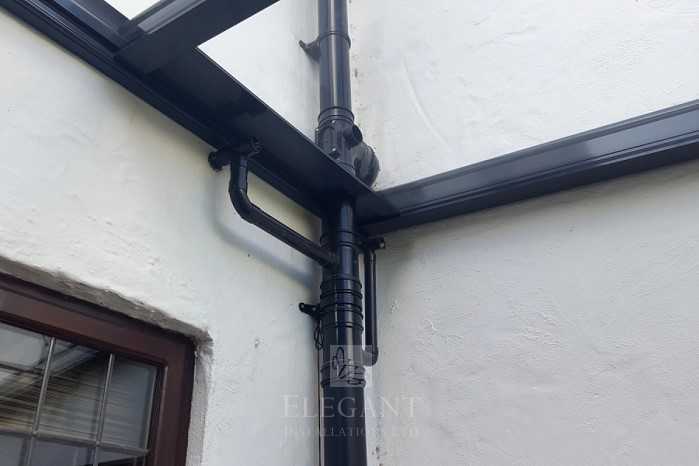 At Elegant we can design your glass veranda to accommodate existing rainwater drain pipes and other immovable pipes using our colour-coded pipe-through roof panel. 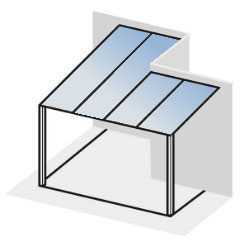 As a further option we can CAD design a hole to be cut within the verandas roof glass allowing a pipe to pass through. Our talented team are well experienced at handling obstacles and special situations. Elegant Glass Verandas and Glass Rooms can be tailor shaped around chimneys, stepped walls and other architectural features. 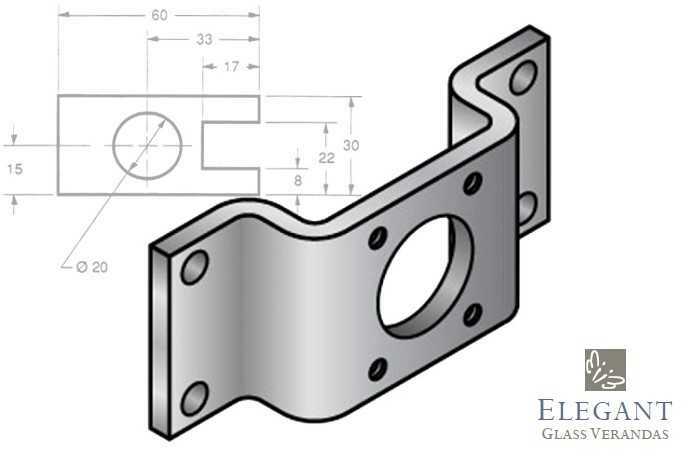 At Elegant we pride ourselves on precision fitting where others cut corners. 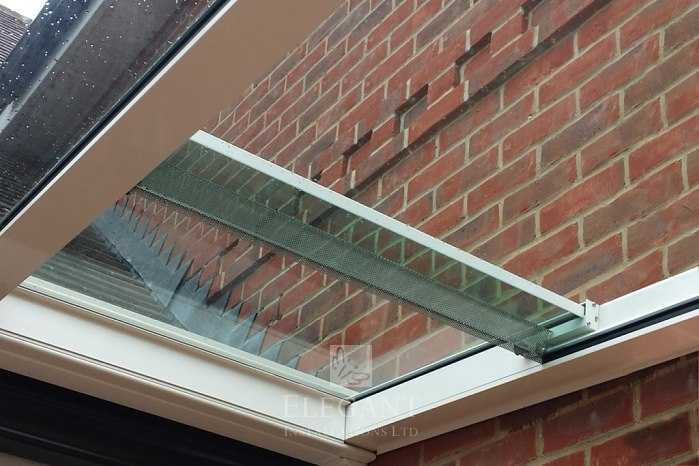 The Elegant glass roof vent ensures a constantly positive climate and reliable ventilation. 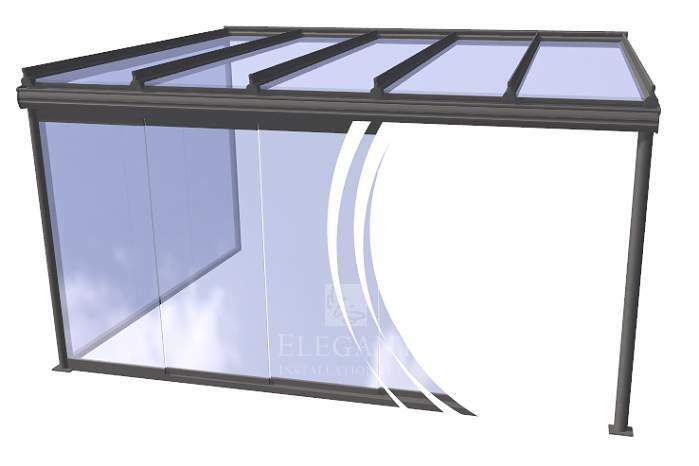 The simple clear-glass design creates a seamless fit to Elegant Glass Rooms retaining the transparency of the roof and clean lines. 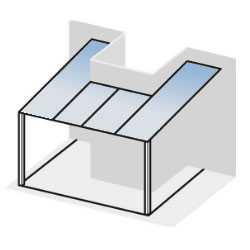 An optional insect guard can also be included within the opening. 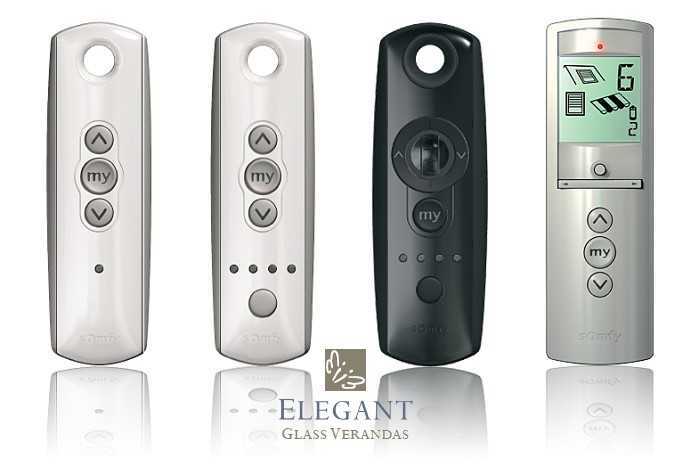 Control your glass verandas spotlights, heater or vertical screens from one remote control. 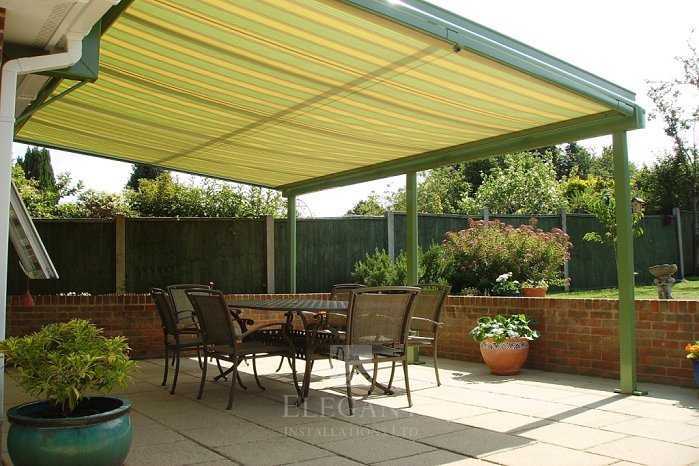 Open your verandas roof blind effortlessly, and adjust its shade from the comfort of your patio chair! Our radio technology is omnidirectional and operates within a range of 65 feet, even through walls. Even where clients have thought their house not suitable our custom engineered brackets enable installation virtually anywhere. 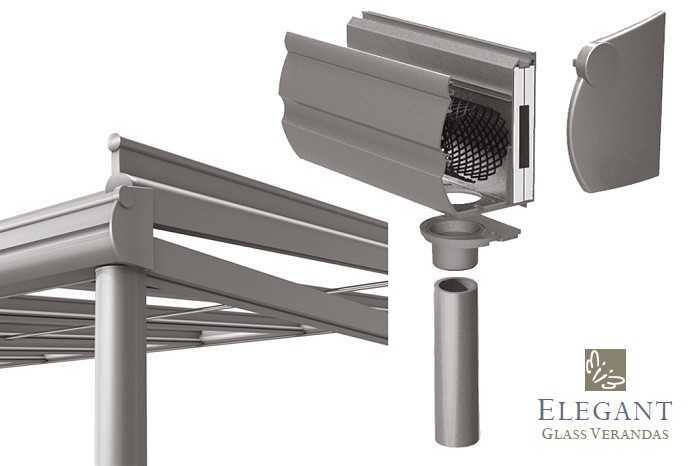 An upgrade to mere gallows brackets, our strong steel support frames will take the verandas glass roof weight and also handle snow loads. Your installers Paul and Lee were extremely hard working with immaculate attention to detail building our veranda. We cannot fault any aspect of the installation, or your super service from us placing order to completion. Extremely pleased with the structure and with the relationship with the company from our initial meeting through to the finishing of the veranda. On site Paul and Lee were excellent and kept us informed of construction through each stage. Excellent service all round, your fitters the best I have ever encountered. Will recommend to everyone. Thank you for an excellent installation of our garden room. Your installers represented your company professionally and to a high standard. Excellent experience from start to finish!! The Elegant team are a pleasure to work with – very polite and clearly committed to a professional job. Far exceeded my expectations both in service and the actual veranda. Gillian was exceptional with organising & customer service. Without a doubt I would recommend Elegant to friends and family. Very satisfied customer!! Very pleased with the veranda. Installation went well, basically an excellent all round service. 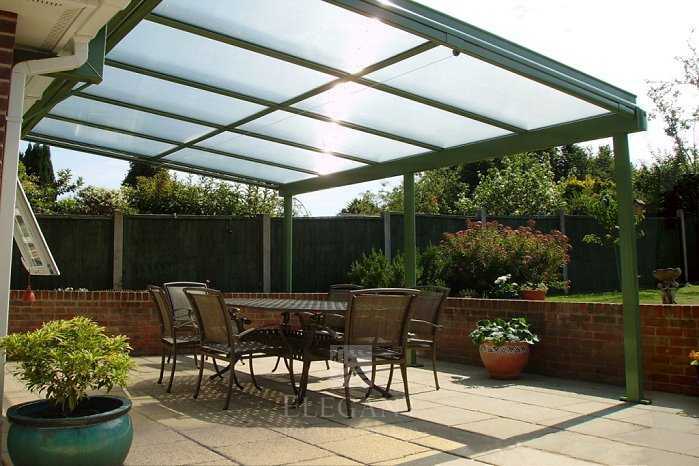 We have had a very good experience with your company from our initial enquiry to the veranda installation. Lee and Tony did a great job. Thank you. We are very happy with the professionalism of your service and the quality of workmanship. Extremely pleased with the outcome of our veranda and decking. Very capable fitting team, the veranda looks wonderful and all was completed on time. Delighted with the end result, and with your companies extensive knowledge of product and fitting. 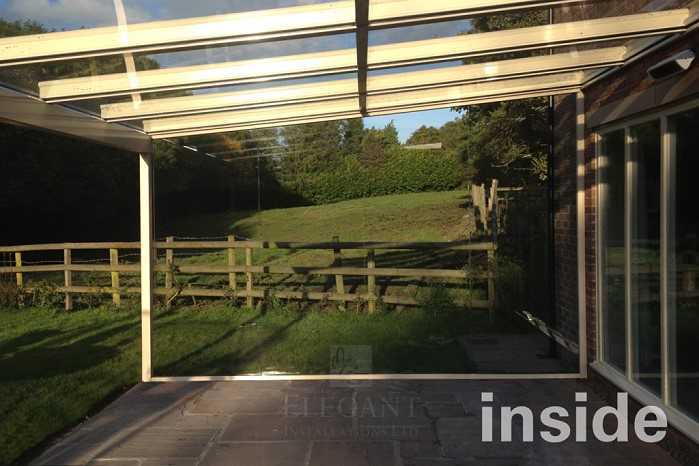 "I have had glass rooms and verandas in a few of my homes worldwide, but the service from Elegant Glass Verandas in the UK was outstanding! I highly recommend."